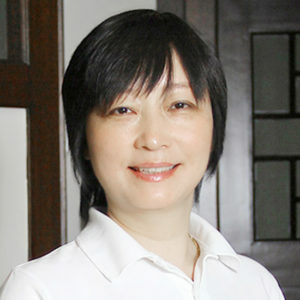 Dr. Zheng graduated from the Shanghai University of Traditional Chinese Medicine in 1986. She worked at the Shanghai Hospital of TCM and learned from the famous doctor Shen Pi An. She also engaged in clinic treatment and scientific research of immune diseases, especially SLE. In addition, she worked as a guest doctor at the Diakoniessen Hospital in Austria. She has extensive clinical experience in immune diseases, skin diseases, digestive diseases, insomnia, cervical diseases, backache, menstrual disorder, and weight loss. She is also registered as a psychological consultant.